Canon’s automatic white balance system is well proven and the EOS 5D Mark II doesn’t disappoint in this area. In many situations the auto setting produces images that need little or no colour correction. And on some occasions, such as when shooting in a shaded, frosty valley under a blue sky, it produced a more neutral result than the Daylight, Shade or Cloudy options. While the automatic setting doesn’t as a rule over-adjust images (and they retain the feel of the original scene), the Daylight option is a better choice for capturing the warmth of the rising sun or the chill of a frosty morning. 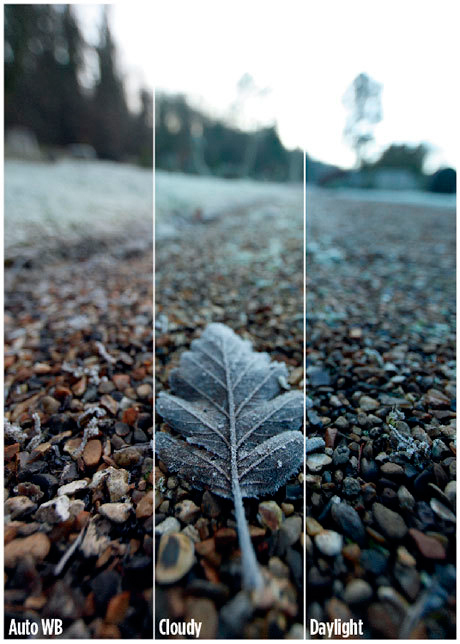 Of the six preset Picture Styles available on the EOS 5D Mark II, I suspect Standard is likely to be used most frequently. It produces pleasantly vibrant results in a wide range of situations, but reds can be over-saturated. I find the Neutral Picture Style produces more natural-looking reds. The Faithful option makes them a bit too lacklustre. Oddly, the Portrait Picture Mode produces even more vibrant reds than the Standard option, and is unflattering for anyone with rosacea or red blemishes. Again, the Neutral setting is preferable. Users can also adjust the saturation, contrast, sharpness and colour tone of any of the preset colour Picture Modes to suit their own preferences, and save up to three custom settings.